My regular readers will know the story, but for the newcomers, just a brief background: Kobus and I were sourced in South Africa by a large Tanzanian company, with the aim of starting up a dairy farm on Zanzibar. With a few personal belongings but loads of eager anticipation, we arrived in Dar es Salaam about mid May this year, only to hear that the politics in Zanzibar has proved too intricate at that stage for the newish government to earmark any land. Problem being that each piece of fertile land has some small farmers on it, each claiming ownership. And so we were placed in Kigamboni, the “wrong” side of the harbour mouth – “wrong” for various reasons like very few white faces, no shops other than the small roadside traders, no good hospitals or medical facilities, frustrating waits in the ferry queue, no good restaurants and no movies!! Coming from Table View in Cape Town where every one of these creature comforts were on my doorstep, this has been an eye-opener. And so, after many attempts we are no closer to settling on Zanzibar than the day we arrived, and by mutual agreement, we are heading home. I am not going to lie – I am relieved and cannot wait to settle back in South Africa. I have missed my home country dearly (see my post about our recent visit). But, today I want to dedicate my writings to the good in Tanzania – because, as per any country in the world, there are great and not so great characteristics everywhere. I need to start with the people. Coming from South Africa, where we have had huge racial turmoil, it is refreshing to live in a society where racialism is not simmering under the surface all the time. For the most part, we have encountered friendly people, and I will in particular remember two of our askaris – Sangoma and Freddie. At first, not being used to having guards on our property, we were checking each other out from a distance, and I am ashamed to say, with a certain aloofness from my side. But soon these two endeared them to us, and even asking Sangoma to go and exchange some sarongs I bought and did not like for a pretty kanga, was not a problem for him. They cleared up the garden and soon the property looked beautiful, and our little seedlings started to grow. I have reaped bags full of tomatoes and spinach, even now, long after they have gone to other job assignments. I will remember the friendly smiles of mothers holding babies on the ferry ride – me sitting in an air-conditioned car, and them sitting cramped on the benches on the side, hot and sweaty, yet cheerful. We found a local fruit and veggie seller, and started practising our Swahili during conversations with him whilst he would weigh out my 2 kg of potatoes. He would regularly dig behind and under his counter to fetch us the freshest of his produce. The kids would always swarm to the car to get a glimpse of the dogs – the locals do not keep dogs as pets – only as guard dogs. So we bought a big bag of lollipops at the supermarket, and by now, even the smallest of small, barely able to stand themselves, will come running with a baby on the hip just to get the handout of some sweets. Stopping at a stall to buy watermelon, the vendor was severely reprimanded by a local lady for overcharging the “Mzungus”. So we left having paid the same price as the locals, as she stood her ground on our behalf. Another guided Kobus down a dark alleyway filled with drunks after a lazy Sunday, to get to a stall to buy electricity after we ran out unexpectedly. The beaches on the Kigamboni side are more beautiful by far than the ones on the busier side of town, and hence we found ourselves frequenting the beaches on an almost daily basis. I have to single out two spots here, both so breathtakingly beautiful, that I cried when we drove away for the last time yesterday. The first one, Kim’s Beach, is a long stretch of powdery white sand, fringed by swaying palm trees, a few rudimentary grass-roofed huts for shade, and upon paying Tsh5000 per person, you will get your belongings guarded whilst you bob around in a warm, inviting ocean, and a bucket with fresh water to rinse yourself off with once you exit the sea. We have spent many many magical hours there, and our dogs have learnt to crab hunt on the shores. The next is a beautiful, peaceful and well-appointed resort – Skipper’s Haven. It lies about 30 kms from the ferry, surrounding a private pearly bay. You would be forgiven to forsake all and entrench you there for a weekend, as your soul would certainly drink in the beauty and the ambiance of the African bush. 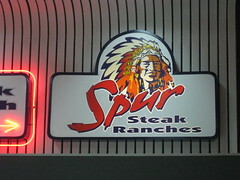 serves better food than any of the franchises in South Africa!! Speaking about the Sea Cliff – the Indian restaurant there serves the most tender, mouth-watering chicken satay and Lamb Rogan Josh, perfectly rounded off with delectable garlic naan bread!! A feast!! The game parks, especially Ruaha National Park, were a highlight of our stay. The drive there not so much – hair-raising to say the least, and I would recommend flying in any time. So, folks, that’s it! From tomorrow I will be packing in all earnest, to leave on Saturday. Once settled in South Africa, I will make sure I write about the sights and experiences of my beloved country, and that you will all be as enthralled as hopefully you have been to learn a bit more about East Africa on this past 6 month journey! This entry was posted in Africa, Dar es Salaam and tagged Africa, Cape Town, Capetown, Kigamboni, Ruaha National Park, Sangoma, South Africa, Table View, Tanzania, Zanzibar. Bookmark the permalink. Hope your move home goes smoothly – looking forward to reading about your new adventures! Suletta. You’ll always have this experience and not only that, you’ve given a glimpse of life in a faroff place I’ve read and dreamed about. For me the great news is your going to another faroff exotic place I dream about- so I’m excited about continuing the adventure. I’ll also tell you that my wife and I are making plans to return to the States(after nine years) in the near furture– it’s time. We’re planning on getting a place in Florida and I hope to find a small ocean going sailboat. There may come a time when you hear about an old American sailing into Cape Town. I’ve met several wonderful people from SA and It will be on my must visit places. Good luck on the move and keep on writing! Dannie, I’m not sure if you know I am a yacht skipper as well, and did the Cape to Rio race aboard a super-sleek Norwegian yacht last year. We won the cruising class and it will be a memory I will cherish forever! I will however, not settle near Cape Town, if all goes to plan, but in the Free State, another province of S A, close to Gauteng, Johannesburg. New territories to explore. I wish you well and much success in your ventures and plans, and will hopefully keep your interest in my writings about South Africa. Yes, I know you made that great passage. I do envy you– in a good way. It’s funny you mention moving to Gauteng. I have a good friend, Sandra Valente, who lives in Midrand, Gauteng. She has wonderful family and and a great blog for book reviews, interviews. You might want to check her out at http://ssbookfanatics.blogspot.com/ . I really look forward to more stories of your new life and hope the move goes smoothly!